It seems the growing problem of hospital readmissions has become a national endemic. Prior to 2013, the rate of readmission in the United States was almost 20 percent – one in nine patients returned to the hospital room within one month of being discharged. After 2013, with the implementation of a payment reduction program by The Center for Medicare and Medicaid (CMS), the overall figures have dropped to about 18 percent. But, these statistics for Medicare patients are still higher than expected in 2016. One in five seniors are readmitted to the hospital within 30 days of discharge, adding up to nearly $15 billion in hospital costs each year. Studies also show that 75 percent of Medicare readmissions are preventable when an effective discharge planning system and in-home care services are put in place. To help combat the rising costs of healthcare, the Institute for Healthcare Improvement has developed an initiative called the “Triple Aim.” This approach focuses on enhancing the quality of patient care, reducing the cost of health care and improving the health of the general public. 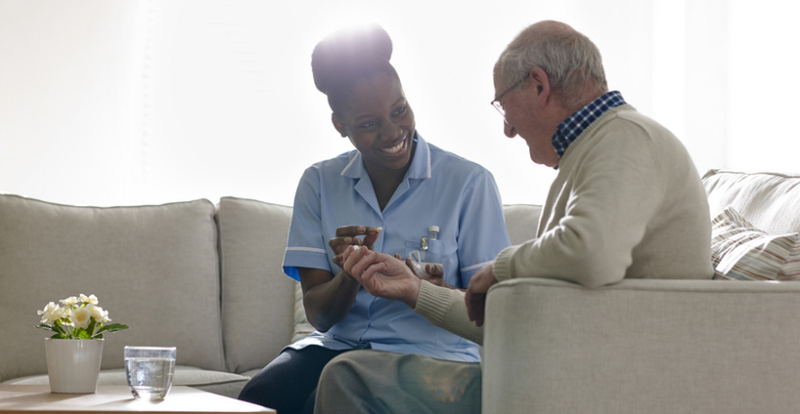 Organizations like the National Readmission Prevention Collaboration recognize the crucial role that home care services play in that process – not only because it’s a vital part in the continuity of care, but patients are also given the chance to recover in a setting that’s comfortable and familiar to them. When the Affordable Care Act was passed, it mandated the Community Living Assistance Services and Supports” Act (CLASS), a national long-term care insurance program that offers a financial incentive for three hours of daily in-home care services. CMS suggests that the environment a patient is discharged into makes a significant impact by enhancing the continuity, efficiency, and outcome of their recovery. Some studies suggest that an increase in home care leads to a reduction in follow-up visits to the doctor by as much as 25 percent, while lowering the costs of continuum care. With reimbursements offered by CMS for home care visits, transitional care management and physician house call groups, patients are receiving higher levels of care at a lower cost. Other ways FHC found that seniors can help reduce hospital admissions include scheduling a seven-day follow-up with their physicians. Some states report lower numbers of hospital visits by keeping these appointments. Patient communication and education is another vital part of a successful transition home. This way, each person is empowered to aid in the success of their recovery. Proper nurse staffing has also been proven to help improve the quality of discharge teaching and patient readiness. If you are looking for a successful, caring staff to reduce hospital admission, look to Freedom Home Care. Get an individualized care plan that makes sure your loved one is cared for.